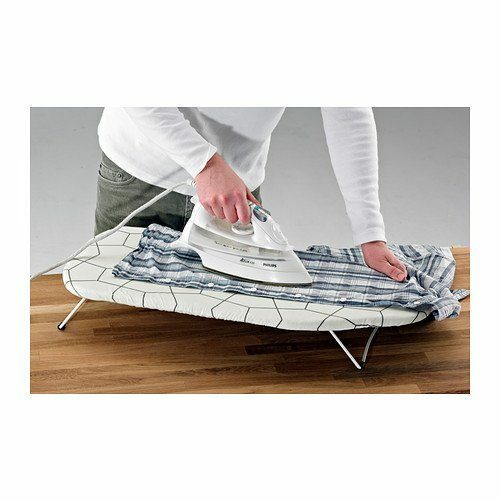 If you own an iron, then almost always you will need an ironing board. Some people still use a cloth on top of a table, but most UK consumers, opt for the safer and sensible option of a good quality ironing board. There are normal stand alone boards, but also table top boards. 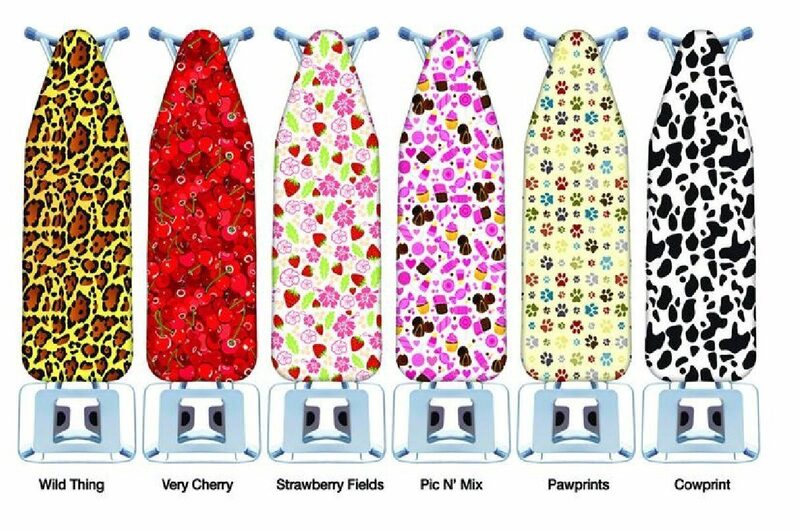 In this article we look at the best ironing boards, that are currently available in the UK market. ​These irons are different sizes and more importantly different weights. 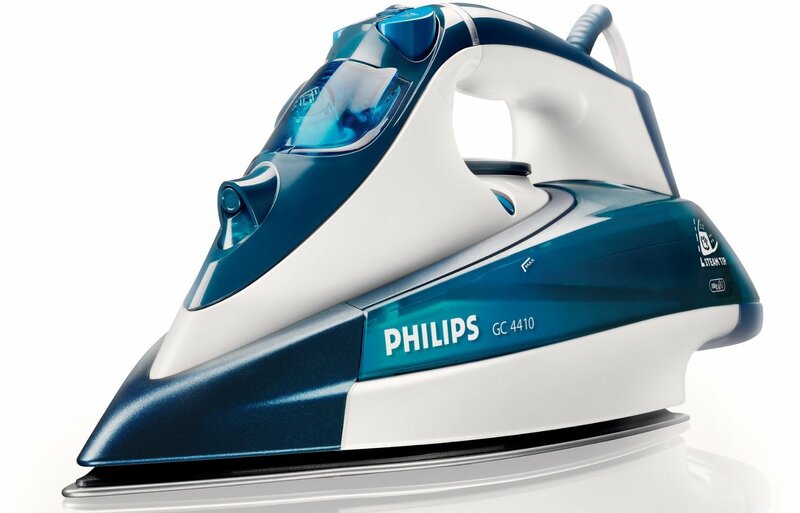 Should you own a steam generator iron, then you will need a different type of ironing board. It is larger in terms of width, and also has a different end piece. If in doubt. most people will own a standard steam iron. Manufacturers of these make them in five different sizes.​ These are referred to as standard sizes, however you will also find sizes slightly different to these as well. There is no clear designed standard as manufacturers often change the size option. 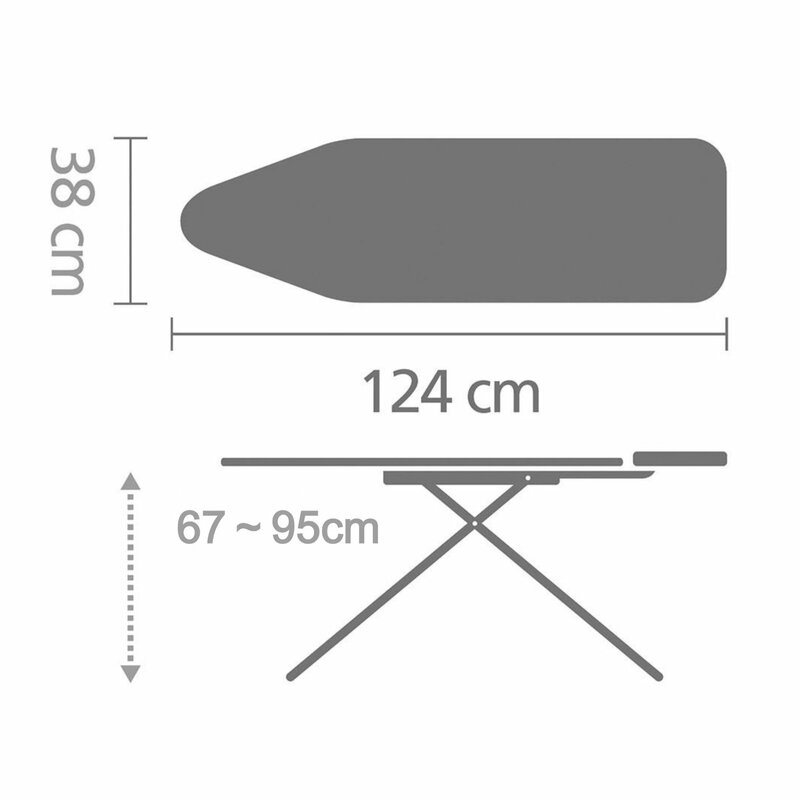 The best seller for example is 122 x 38 cm. The guide below is a useful general guideline. Always check the exact size though before ordering. You can go with one of those, or continue reading, to​ find out more information. General Construction - Made from good quality materials, strong joints for adjustments and stability, lightweight for easy of portability and good quality covers. Brand - You will always pay more for a better brand of board. They will also give you more extensive guarantees and better customer service. When putting the board up, the height adjustment is made by clicking the movable leg into a slot. There are a number of slots. You simply pick the right one to suit your own height. For taller people they will want a higher board, so make sure that the height you need, is provided by the board that you buy. As I prefer to call it, the pointy bit.​ It is where most people iron the fiddly bits. They come in different shapes such as rounded, tapered or blunt. They all work fine. Just be aware which type you have if you are buying a new cover. This part often gets confusing. Good ironing boards will always come with a cover of some kind. A good board will last for years, but covers usually require replacement every 2-3 years. Many people also decide to buy a cover to upgrade the quality, and to make ironing easier. Typically these will be non-slip covers. The most common are the softly padded. They essentially take the hardness out of the main board underneath.​ That makes ironing a lot easier. The problem with these is they they go out of shape, especially if the padding is too thin. A good padding thickness should be around 6 mm thick. 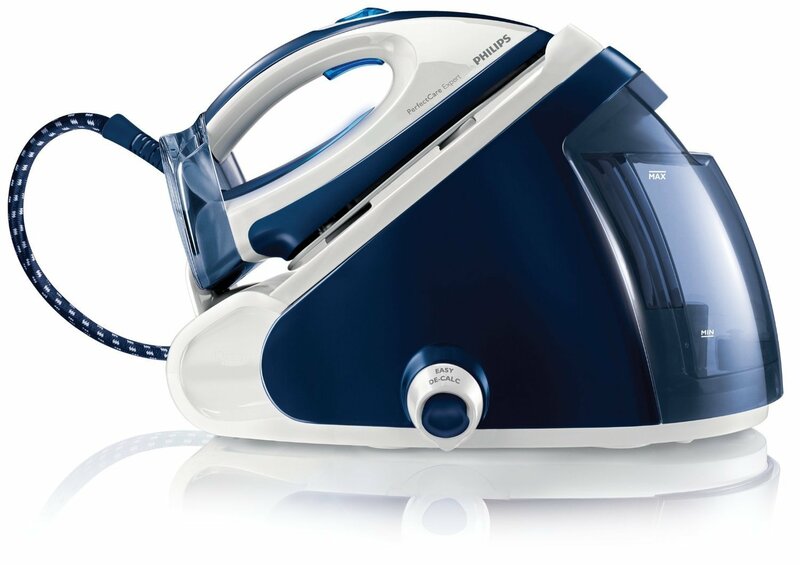 The mesh style of cover allows steam to pass through which helps speed up the ironing time. This is the best selling board in the UK market at the moment. The buyer satisfaction rating has stayed consistent at around 4.1 out of 5 stars. It also costs under £30 and that is around the average price, for a good quality board. ​You can get it in either a green colour or a blue. Comes with a clip holder for the lead of the iron. ​100% cotton cover features with heat reflective metallic coating. The padding is good. "I like the colour of the cover, the cord holder clip is great so easy to use, easily put up and taken down for storing. Well cushioned cover glides over the clothes. A joy to use"
"It's easy to use. Looks nice. Enough said really. It's worth buying." 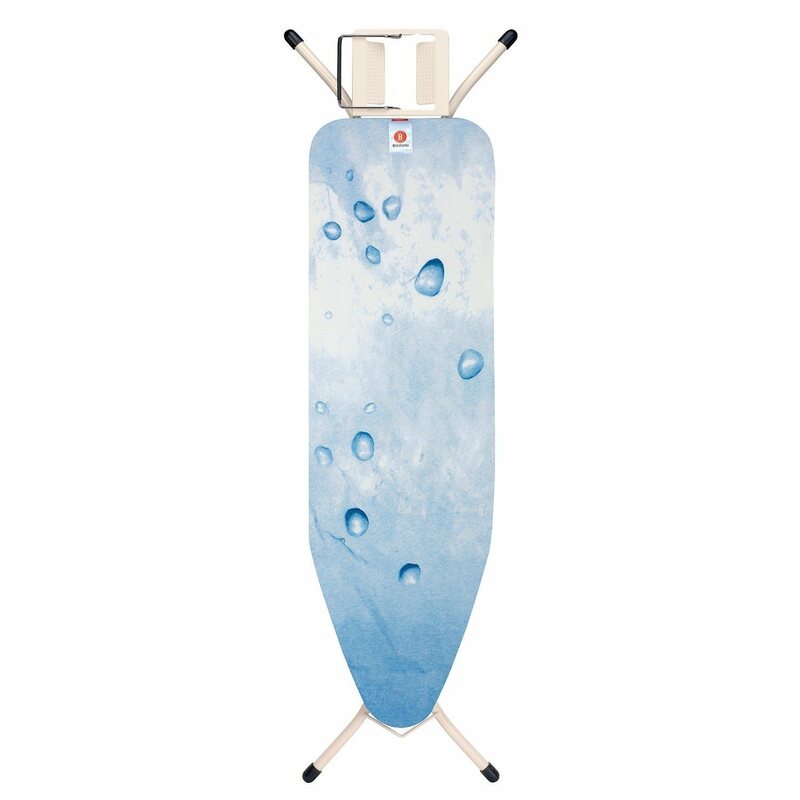 "Good quality ironing board..Nice design, sturdy and strong. First time buying Minky products and I would buy it again." "It didn't last longer than a year. I'm hoping for better with this one. Otherwise, I really like the dimensions of this board and is easy to fold away." "It is very wonky, one of the legs was not even on the same level as the others"
This is the highest rated board in the UK market at the moment. The buyer satisfaction rating has stayed consistent at around 4.5 out of 5 stars. It also costs just over £46 and that is around the average price, for a high quality board. ​You can get it in either cotton flower, ice water, leaf clover, purple anemone, swirl, moving circles, pink santini, ecru or peaks pattern covers. 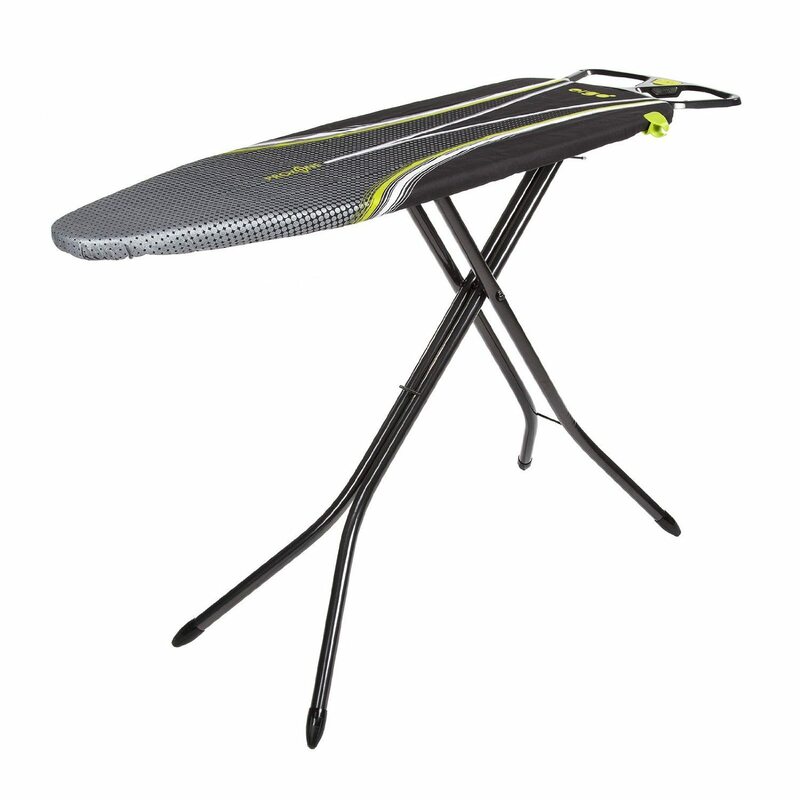 "In use this is a cracking ironing board and doesn't kill your back. It's ergonomic too!Great product from Brabantia"
"I love my Brabantia Ironing Board because it's easy to put up and down, is stable and has a great support for the iron"
"I think that Brabantia make the best ironing boards, it is the most expensive but you will get a long lasting board with good results every time.This is solid and sturdy, the legs don't wobble about, adjusts to all heights ,and is designed to be used either standing, sitting and for left or right handed people"
"The ironing board wobbles....a lot...it's impossible to get all 4 legs to touch the floor at the same time even on a thick wool rug"
"Only three of the legs contacted the floor when opened out resulting in a wobble"
This looks similar to the one above and is made by the same brand. The buyer satisfaction rating is very high at 4.6 out of 5 stars. It is one of the most expensive at around £60, but a highly popular choice from UK buyers. ​It is available with a whole range of patterned colours. It has a wide work surface, adjustable height settings and a full range of safety features. "This one is not only lovely and sturdy, but a decent width which cuts down on re-positioning items and speeds up the whole process.I find myself showing off my ironing board to friends because i'm so pleased with it"
"This board is large and robust. It feels very steady with the steam iron unit on its holder and is a pleasure to use." "And my biggest worry of all, if it'd be suitable for someone of 5ft, it is perfect. Goes even lower than I expected it too. Good for small and big people!" "Board is heavy - OK for me as I keep it up but would be problem if you want to fold it up and put it away"
"Let me explain - it is heavy and very big. It is very wide at the bottom"